New Year’s Eve is one of the most celebrated holidays around the world. It’s all about new starts, sharing with the ones you love and receiving the next year with a big smile and positive attitude. There is no doubt that we all know how to celebrate this holiday! Costa Rica, like the rest of the world, has several new years traditions. You might find some of them odd, but they will certainly surprise you! Wearing colored underwear will make you attract different things for the upcoming year. For example, yellow will bring you good luck, red will bring you love and green attracts money. Some people discard the colored underwear and tie-up ribbons of the same colors on the front door to attract the same things. Another well-known tradition for good luck is eating 12 grapes at midnight, each one stands for one month of the upcoming year. Some keep the tradition of throwing water over their shoulders several times during midnight to erase old memories and be ready for fresh ones. Another common tradition is spending the week at the beautiful beaches with family, friends, or both. Most people tend to rent homes or condos close to the populated areas to have access to the best beaches and to the modern amenities. This is the peak season for the Pacific Coast since summer is hitting in. Expect big lines of cars if you are traveling from San Jose to the shore. Nevertheless, the traffic will be worth it once you lay back in the sand listening to the ocean during the sunset. Guanacaste and Puntarenas are two of the most recurrent places to visit during this season. Guanacaste is home to some of the biggest local and foreign tourism during these months. Here you will find well-known areas to stay. We recommend you Tamarindo, Hacienda Pinilla, Reserva Conchal, Las Catalinas, Flamingo, or places nearby… These are centric places, where you can rent any type of property like private homes, villas, condos or even penthouses. Also, you will have direct access to the beach, restaurants, stores, tours, groceries, and more. 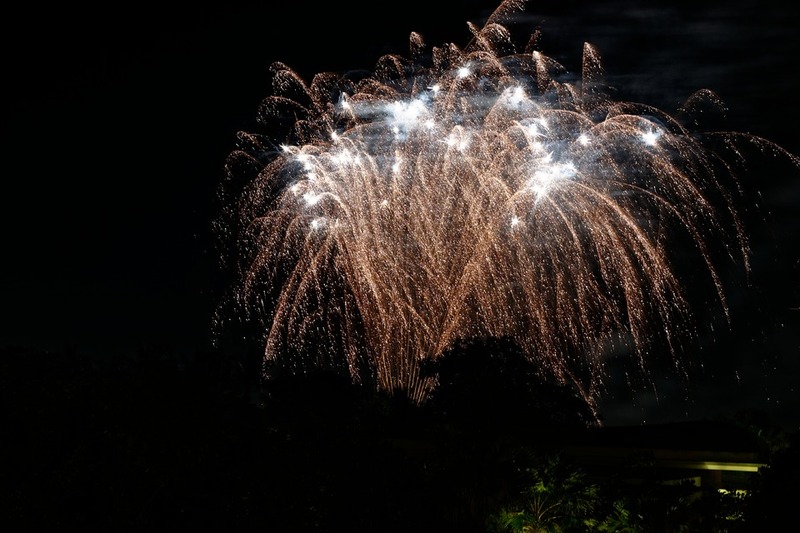 Guanacaste is also home to the renown parties of New Year’s Eve. Parties start from December 26th and end during the first week of January. These celebrations are formal parties at the beach, they can be during the evening or at night, but all of them include amazing decorations, masquerades, famous DJ’s, plenty of surprises, and the most beautiful fireworks that will be reflected in the sea. If you have never spent a vacation in the tropics, Costa Rica will surprise you. During this festive period, you will find the streets full of joy, decorations, and everyone will have a smile on their face. Celebrations for New Year’s happen all around the country. Costa Rica has beautiful beaches, mountains, unique places to enjoy as a family, with friends or alone. There is a great variety of ecosystems as well as properties to enjoy the natural paradise. You will find luxurious and modern homes or more affordable villas and condos. It is certainly a perfect country for vacation, for this reason, vacation rental properties are a great business. Before finding a house that will work as a vacation rental, you must take into consideration the area and climate. Costa Rica counts with 2 seasons: Dry or summer, and rainy often known as the green season or winter. Summer extends from December thru April, where the driest months tend to be February and March. On the other hand, the green season goes from April till November. Nevertheless, like most tropical countries, the climate is mostly unpredictable. A beach is always a great option for your vacation home. Short term vacation rentals can generate a great amount of return on investment if your marketing efforts are good. Most people look for homes with security, close to the beach or with a view, close to town, easy access to main roads, grocery stores and with all the services. A vacation rental can be a single home, villa, apartment building or condo. Guanacaste tends to have a big tourist population during the months of December to April and in July. Christmas, new years eve and holy week are the main holidays in Costa Rica and the world, thus many European and American tourists come to explore this wonderful country. It is also “summer” or the dry season, where days are mostly sunny and there is total activity in the beach towns around. Tamarindo, Conchal, Hacienda Pinilla, and Las Catalinas are some of the most visited places in this area. This can be for the proximity to Liberia International Airport and for being areas with private communities, amenities close by and beautiful beaches. Guanacaste has been developing touristic areas like restaurants, commercial centers, shopping malls which add great value to close by properties. Here you will find long term and short term rentals for families, large groups or small groups. Nevertheless, you have to look for the rentals with time in advance since it’s one of the most sought-after areas for the holidays. In the Southern Pacific region, you will also find all kind of properties with amazing ocean views and proximity to the beach. You will also be able to stay within the tropical rainforest but with the best views. December thru April are the strongest months for vacation rentals and you can expect also an annual return of 4%-6% on your investment. The South Pacific area will also have plenty of tourism during the months of August to October since it’s the whaling season. Despite having the rainy climate, this is a true natural spectacle worth watching. Costa Rica is known for its beauty and happy people. There’s no doubt that it has the most beautiful sunsets that can be admired by all the different ecosystems. People are very social and they have a beautiful saying: “PURA VIDA” which stands for pure life. You will certainly listen to this phrase very often, Pura Vida can mean “ok”, “good morning”, “how are you?”… Our small but astonishing country is perfect for everyone: beach lovers, mountain people, the ones that love the chilly climate and the ones that love the heat. In every part of the country, you will have access to adventure and nature. The beach is one of the reasons why Costa Rica is famous. The amazing temperature of the ocean plus the beautiful green surrounding is the best combination to be front row watching the supreme sunsets. You might think of the beach as just relaxing and sunbathing, but this country is all about the adventure. In each beach town, you will find tour offices that can guide you on your expedition. Scuba diving or snorkeling is always a great choice. When you book a scuba diving tour they do ask for the driving license, nevertheless, most offices give you the option of snorkeling for those that don’t have the permit. Marine ocean life is very diverse and unexpected. Even while traveling to the diving point you may be able to see tons of animals like dolphins, turtles, whales, flying sea rays and more. These are animals that you will be able to encounter while diving or snorkeling. While diving you most likely will be able to admire a few white tip sharks, giant sea rays, octopuses, starfishes, turtles, eels and plenty of colorful fishes. It is a unique experience to be full of peace while swimming right next to all of these beautiful animals in their natural habitat. Costa Rican beaches are also well known for the surfing potential. Nevertheless, there are waves for beginners and experts. In most of the beach towns, you will also find several surfboard rentals and locals that impart lessons. If you come to Costa Rica it is a must to surf at least one wave! You can book ATV’s tours or horseback riding to get to different beaches or to waterfalls. These rides are a whole experience since you travel through the forest to get to paradisiac beaches or to freshwater rivers with waterfalls. If you are willing to stay in the mountains, in a chilly climate, there are also amazing activities to enjoy as a family or with friends. Hiking through the tropical rain forest can be a unique experience. You will be surrounded by nature, being able to observe butterflies, birds, toucans, snakes and more animals. It is recommended to take a cape and impermeable shoes in case you encounter some rain while walking. Nevertheless, rain never stops the admiration one feels for this climate. Another way of visiting the forests in this beautiful country with some adrenaline would be the hanging trees or zip lining. Costa Rica is home to the largest zip-line in Central America. You will fly through the forest while feeling the breeze in your face and viewing every kind of flora and fauna. The hanging bridges, where you can walk at the level of the canopy of trees, are also a main attraction that we recommend. Where to stay while visiting Costa Rica? There are hotels and villas available for people who are in a budget. 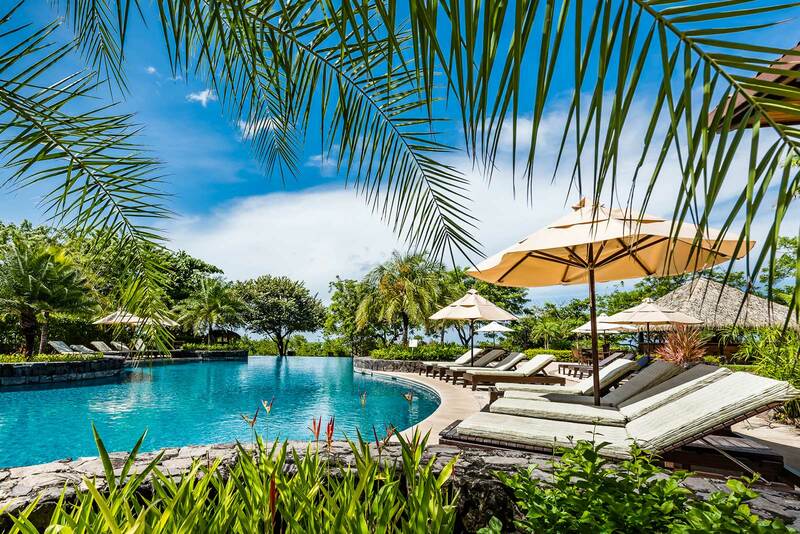 There are also luxury hotels and private properties that can be rented per night to have a more relaxed vacation. The most convenient way of traveling is to stay in the area that you will visit. 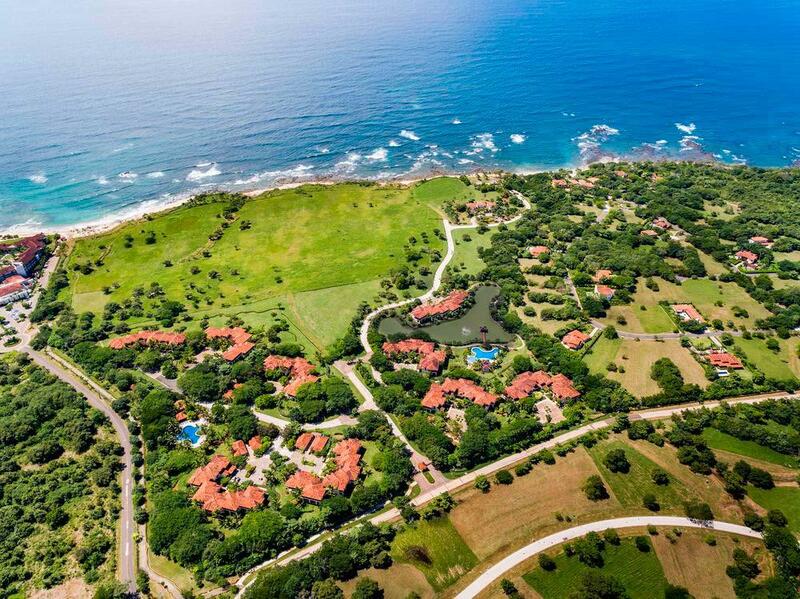 Let’s say if you wish to explore Guanacaste, stay within in the area, close to Tamarindo, Pinilla, Conchal… Here you will find beautiful homes, condos, and villas available for people with every type of budget. If you are traveling to the mountains you’ll have the same options: hostels and villas or luxury residences with amazing views and accommodations. Costa Rica can be a small country but the diverse ecosystems make the trip totally worth it. Fly across the forest or lay back an relax at the beach while watching the monkeys and sloths in the trees. Relax in your mountain home with a hot chocolate or scuba dive with white tip sharks in the Pacific Coast. In each place, mountain or beach, you will find the perfect balance of adventure and calm. Oxigeno is the first human playground in the world and you will find it in Heredia, Costa Rica. It opened it’s doors to the public on November 27th. A place for everyone and satisfying the needs of families, adults, young adults, teenagers, kids, while combining entertainment, shopping, gastronomy, spectacles, nightlife and nature. This super mall is designed to surprise and make everyone enjoy. It also integrates culture, learning and the community around it. It is located in San Francisco of Heredia, and its proximity to the city is a plus. It will be built in an area of 200,000 m2, it will have 3 phases with more than 200 stores and a value of more than $200M. This budget will also include improvements on the roads that lead to the mall, two new lanes will be added to the 111 freeway, benefiting the community as well. The mall will be also providing more than 200 jobs, it will benefit the economy in Heredia as well as nearby businesses. The mall will also include a tv Chanel called OxigenoTV to inform and invite customers to the different activities held here. The mall will be divided into 4 worlds created to surprise and transform the shopping experience. The main goal is to give the customers a whole new way of buying. El mundo de vivir – The living world: This world includes shows, music, sports, art, community, entertainment, culture, and gastronomy. Some important restaurants found here will be PF Chang’s, Taj Mahal, Friday’s, Matsuri, Frida Kahlo between others. El mundo del sentir – The feeling world: Style, love and indulgence. El mundo del ser – The being world: A dynamic place to enjoy and explore your inner child. It’s designed to entertain, teach and it will include different places to have fun as well as stores for kids and families. 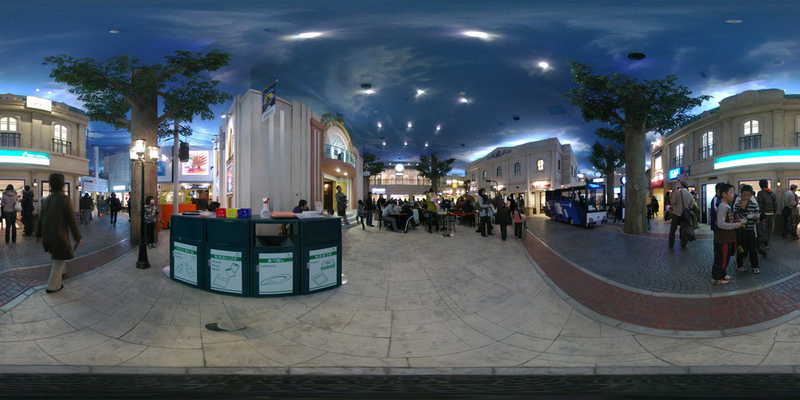 As for the “being world”, something innovative to learn and be entertained will be KidZania. This Mexican franchise will be open to the public on December 6th. This will be the first time in Costa Rica and it’s already incorporated in 19 other countries. It consists of a mini-city of 4000 m2 for kids to explore and learn while playing and interacting with others. A dynamic place for pre-teenagers, kids, parents, and grandparents. It will have a fee of $17 per day per kid so that they can enjoy the attraction at any time. A great alternative to entertain, learn and be active while going to a mall. As they enter, they will be given a certain amount of fake money that can be used in the mini city. They will have to work in the available areas to earn more. Some public jobs will include being a police, firefighter, dentists, paramedics among others. There will be also well-known brands offering jobs in the private sector. There are 34 spaces for brands and they will provide 70 different roles. Oxigeno will show how malls can evolve, creating an experience for everyone. It will also be a different way of learning, exploring and having fun while inspiring and redesigning shopping. The building will also include green areas and different playgrounds to have one nearby in each phase. It’s a project for young people, families, grown-ups interested in sharing and admiring art, sports, and design. Oxigeno will transform the shopping way and give a twist to your typical mall experience. Costa Rica is a country full of nature and diverse ecosystems where we have to take the greatest benefits possible. It is a country that works with wind power with towers scattered throughout the country, there is no doubt that the people here are aware of the planet. Off-grid properties are properties that envelop and nourish a lifestyle. These are houses, hotels, or communities that can be self-sufficient, without the need of buying services from others. Off Grid properties tend to also fall on the fact that they are powered by electrical grids, this being their only source of energy. Renewable energy is a trend now. When talking about this term some might think of wind towers, but advances in technology have allowed to install solar panels on the roofs of houses. In this way, storage systems can be used to maintain the extra energy that is produced during the day. It does not only help the environment, but it also helps your pocket! You will not be depending on the electricity service and paying a bill each month for your consumptions. Something beautiful about the architecture of these types of houses is how they combine the building within nature. 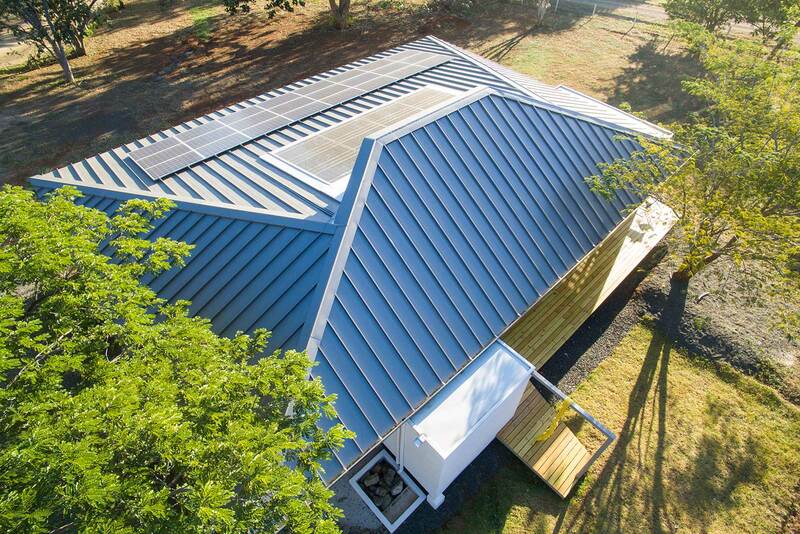 They have an intelligent design: before installing solar panels it must be taken into consideration the sun’s trajectory to take the best advantage of the energy. It also helps while considering the insulation on walls to reduce the electrical installation of fans and air conditioners: by studying the sun’s suit, it can be determined which walls of the house will receive more heat. Off Grid homes also incorporate natural light, indoor and outdoor spaces for a better effect. There are several hotels and homes in Costa Rica that are considered as Off-Grid. Most of these are located within nature, in order to exploit the potential and natural resources. The goal is to find balance by combining a beautiful architectural product and the ecosystem. These are adaptable and sustainable homes with self-producing energy, providing the inhabitants an off the grid lifestyle. In Costa Rica, Decree No. 39220-MINAE regulates the production of energy for personal use. We live in a society where we need others to subsist: water, electricity, food … While living off the grid you cut-off this dependency by starting with something as simple as providing your own electricity. Nevertheless, this is a lifestyle. One must become conscious of the effort that takes to produce their own necessities. It depends on your effort! Tamarindo is a small beach town located in the province of Guanacaste, which is situated on Costa Rica’s Pacific coast. Tamarindo is known for its surfing, relaxed beach vibe, incredible gastronomy, and of course the nightlife. Whether you want to hit up a beach restaurant and enjoy a few cocktails while watching the sun go down, or you want to stay up and watch the sunrise- there are places for everyone. One of my favorite things to do on a Thursday night is hit up the weekly night market. The market is open from 6-9pm every Thursday. This market has different local performers, local cuisine, handmade jewelry and art and many other wonderful vendors. It’s a Costa Rican farmers market but at night. Again, depending on what you are interested in doing at night, there are many different options for you listed below. 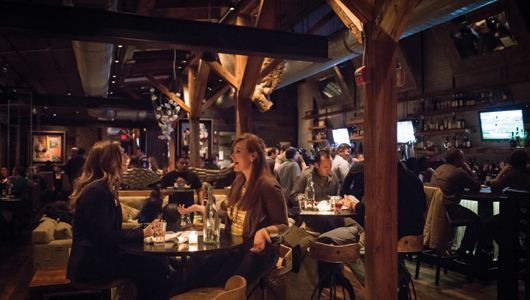 Sports Bars are a must for many tourists, as they cannot miss their games. Thankfully Costa Ricans feel the same way; therefore we have a few different sports bars scattered around Tamarindo. Sharky’s is great because they get almost every channel with all the games on. In terms of nightclubs, El Be Tamarindo Beach Club is great because you are on the beach. Who doesn’t enjoy having a few drinks and meeting new people on the beach? The other bars and clubs are great if you want good music and to have a fun night out in Tamarindo. There are many other beach restaurants located along the beach, but the ones I recommended are my favorite with good reviews. While traveling in Costa Rica, you should utilize the beach restaurants because the views are incredible. Eat on the beach if you cannot do this back home. Just remember to pack some bug spray because the bugs come out at night. You will not notice them until the next morning, so come prepared. Tamarindo is very safe and you do not have to worry about anything. As long as you use common sense when you are out at night, you are good to go. The people in Costa Rica are very friendly and helpful if you need anything. You do not have to know Spanish to get around; most people can speak a little English. There are many taxis to shuttle you back to your hotel so you do not need to drive at night. You will notice Tamarindo is very beautiful at night with all the lights and live music playing at many restaurants. It is recommended to tip the local singers to show your support and appreciation. Around Tamarindo you can also find places that offer Salsa lessons and do Karaoke nights. If you enjoy singing, look online for places that are doing Karaoke. There is a casino in Tamarindo called ‘Casino Tamarindo Diria’ which is good for those of you who like to gamble. There are a few tables for blackjack also. There is so much to see and do in Tamarindo, you will want to extend your time here or move here. I am here for any real estate advice and I can help you at any time! Traveling anywhere is exhilarating, yet a tad intimidating for the inexperienced and skillful travelers. With Costa Rica being one of the happiest places on earth, it’s no wonder more and more people are heading this way. The slogan in Costa Rica is ‘Pura Vida’ which means ‘Pure Life.’ Don’t be surprised to hear this a few times per day. It doesn’t matter where you go, it’s always important to do a bit of research before you head to a foreign country. Whether you are looking for the best places to eat or Internet cafes to work at, doing a little exploration will give you a heads up with the best tips in the area. This article will provide you with knowledgeable information that will help you travel to and around Costa Rica. First things first, driving in Costa Rica can be quite difficult even for the locals. Depending on where you are traveling to in the Country, some of the roads require you to go through streams and up rocky volcanic roads. If you are traveling from the airport to the main beach towns, the roads are generally maintained. It is recommended to only drive in the daylight if you are not familiar with the roads. For most people, it is much easier to hire a shuttle or take the local bus. If you do decide to adventure and rent a vehicle, do not base travel times on distance. Since the roads are rough in some places, it often takes a lot more time than the GPS says it does. No one can see Costa Rica in a day so take your time and enjoy everything and remember; Pura Vida. 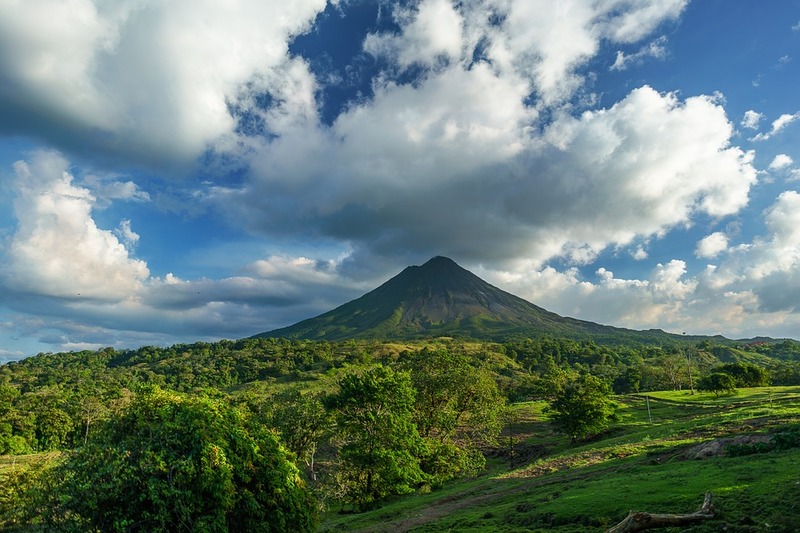 If you are planning on booking any excursions while you are here (which is definitely recommended, especially a tour to Arenal Volcano) you don’t have to worry about booking directly through the company providing the tour. The imbursement of commission drives the tourism industry, which is the largest industry in Costa Rica. If your hotel is selling tours and excursions, they are making anywhere from 15-30% commission, the same as any tour company in Costa Rica. Many tourists are unaware of this organism but it is good to know the power of booking an excursion with the locals. Depending on how long you are staying in Costa Rica, you might want to get a local SIM card instead of paying your phone provider back home. You can find vendors at the airport when you fly in, and they will be selling SIM cards. This is a cheaper option most of the time, and it is very easy to load calling, texting, and data on to your SIM card. You will get a Costa Rica number, which is great for calling locally. Downloading the app ‘WhatsApp’ is great for communicating with friends and family back home and with the locals you meet. Let’s talk about currency. In Costa Rica, the local currency is the Costa Rican Colon. Currently, 1.00 USD is equal to 602.00 Colones in Costa Rica. It’s always better to use the local currency, as sometimes the rates may seem higher with the foreign exchange. Many restaurants and shops will give you back colones if you choose to pay in USD. Another reminder when coming to Costa Rica is that you are coming to the rainforest. There is going to be bugs and they are usually hard to avoid. Be prepared with bug spray and after bite and you should be good to go, especially on the beach and in the rainforest. It’s one of the unique features that Costa Rica has to offer. You can’t visit a rainforest without bugs. Be equipped to see monkeys, iguanas, birds, sloths, and other interesting animals here in Costa Rica. The last tip I have for you is to come equipped for the weather. Even in the dry season it could rain, therefore packing an umbrella is always a good idea. The great thing about Costa Rica is the abundance of sun. Even if it rains, it will not rain all day (unless you are here in the rainy season of September and October.) The weather is always hot, sunny, and humid and we are waiting for you here in Costa Rica! From a real estate agents perspective, we want to make your buying and selling process as easy and secure as possible. It is our responsibility to put our best foot forward to find or sell your home. From years of experience, we start to pick up on what works and what is not so effective with selling properties in Costa Rica. After all, everything takes time and practice. 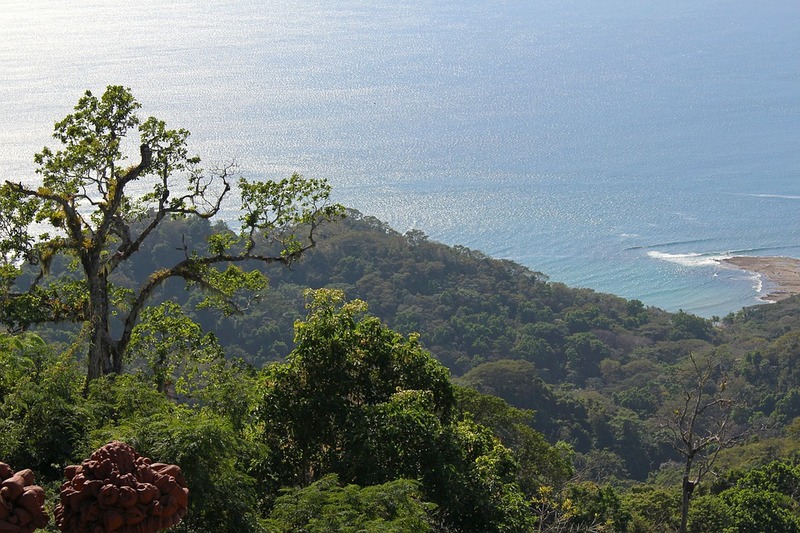 This article will point out a few details that will help sell a property here in Costa Rica. Pricing of course is the number one reason as to whether your house will sell or stay on the market for a long period of time. Depending on how much you are asking, and how quickly you want to sell your property; being realistic with the price will sell your property much faster. If you are asking way too much and it is not a realistic amount, your property could be on the market for years upon years until it is lowered. Research or talk to a real estate agent about similar properties that have recently sold in your area. This will give you a better idea as to how much you should ask for yours. Depending on the eagerness of the sale, real estate agents usually give their sellers three different pricing structures based on if they need to sell as soon as possible, if they want to wait and get a fair market price, or if they are just fishing. Usually if they want to sell as soon as possible, they will get around 25% lower than the market worth. So if you want to sell your property, price it to sell for a faster sale. Everyone likes to walk into a clean house that is decorated for visual appeal; therefore staging your home is very effective. Do not over clutter your house because that can push people away. Lighting is also key, especially natural lighting if possible. Did you know that good lighting could make your home feel much brighter and bigger? Do a little research online to help you stage your home. There are many décor ideas that could help sell your home faster. Getting professional photos taken of your home will help show clear photos of each room in your place. Good quality photos will make a difference in a buyer’s first impression of your property. The more you help yourself at the beginning, the easier it will be to sell your property. Quality is always better than quantity. Spend a little extra prepping your property to make it aesthetically pleasing, because appearance goes a long way. Having an open house for your guests to walk through with no pressure is a great selling feature. A tip for the owners; it is better to leave the house for this and leave it in the hands of your real estate agent. They know what they have to do and it is more comfortable for the clients going through the property. Homeowners will have biased opinions and this could steer the potential buyers in the wrong direction. Also, it is important to remove all animals in the house when you are having an open house. Some people are scared of pets, and this could turn them away. Again, think of yourself being in this situation and what you would expect from an open house. Open houses are great to get traffic into your house and to show them how beautiful it is. With everything in place such as a good price, quality photographs of your home, and the space being appropriately staged; you should have no problem getting people to come to your open house, which will hopefully end in a sale. Being a real estate agent, I can’t stress the above information enough. If you want to sell your property, you should follow the tips given in this article. Being the seller you might think these tips are not imperative, but in the buyer’s opinion; they really care. At the end of the day, we want to help you out with this process and provide as much information as we can in order to make this procedure a little easier on you. With our knowledge and experience, selling your property in Costa Rica should feel like a breeze.